Following a dismal start to the year, GoPro is cutting its lineup in half. The company will stop sales of its three lower-end Heroes beginning in April, according to The Verge. 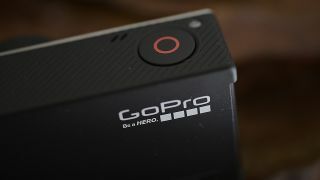 Those are the Hero+ LCD, Hero+ and standard Hero, currently GoPro's least expensive camera. The Hero4 Black, Hero4 Silver and Hero4 Session, now its cheapest camera at $199.99 (£159.99, AU$299), are sticking around. The Hero4 Session already underwent a massive price cut, and we'll see if it stays at its current price for much longer. At $499.99 (£409, AU$749), the Hero4 Black remains GoPro's most expensive camera, at least for now. CEO Nick Woodman did confirm the Hero 5 is due out this year, along with the Karma drone for 4K video recording (and flying, don't forget the flying). We've put in a call to GoPro to see whether it may bring the discontinued cameras back at some point or offer more than four models down the line, and we'll update this article when we hear back. The company's revenue has plummeted 31%, and it's warned investors 2016 will be a difficult year.